This is a set of conversation textbooks following the task-based teaching ideas. Being objective-oriented and task-based in communication, it combines the topics, functions and culture, so as to artistically integrate the form and meaning. 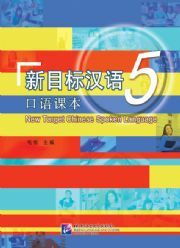 It is suitable for total beginners of Chinese language and can be used by students of short-term or long-term training programs.